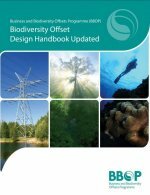 The updated Offset Design Handbook presents information on a range of issues, approaches, methodologies and possible tools from which offset planners can select the approaches best suited to their individual circumstances when designing a biodiversity offset. It describes a generic process that offset planners could use in designing a biodiversity offset, from initial conception of a development project to the selection of offset sites and activities. This involves describing the project; exploring the policy context; engaging stakeholders; undertaking biodiversity surveys and applying the mitigation hierarchy; quantifying residual impacts; identifying and comparing potential offset sites; calculating conservation gains for preferred offset sites; and deciding upon the final scope, scale, nature and location of offset.